Steven Huttler is a partner in the firm’s Financial Services and Corporate Groups. Mr. Huttler has extensive experience in corporate, finance, investment fund and securities matters, including the representation of U.S. and foreign investment funds, underwriters, and private clients in various registered public and private offerings of debt and equity securities totaling in excess of $10 billion. As part of his investment fund practice, Mr. Huttler has served as corporate counsel to many private investment funds and partnerships based in or domiciled in the United States and in international and offshore jurisdictions such as the Cayman Islands, Bermuda, the British Virgin Islands, Ireland, Luxembourg, Isle of Man, Jersey, Guernsey, Cyprus, Mauritius, United Kingdom, Austria, Russia, India and Gibraltar. Mr. Huttler’s legal practice has exposed him to diverse fund clients with an exceptionally wide range of investment programs and structures, including large mutual funds and hedge fund complexes, private equity firms, real estate partnerships and funds, venture capital funds, and funds focused on specialty finance assets. The New York corporate attorney has also counseled small start-up hedge funds and financial industry entrepreneurs. His practice has included structuring and establishing start-up funds and managed accounts, and structuring investment funds to benefit from U.S. double taxation treaties. He has advised management companies and fund managers on compensation structures, restructured and reorganized funds, structured, negotiated and documented fund trades, negotiated seed, joint venture, and start-up agreements, and advised on a range of sophisticated transactions. He has also represented financial services providers, such as brokerage firms (including proprietary trading broker-dealers), fund administration firms and third party marketing firms in structuring their operations, reorganizations to achieve tax benefits, advising on disputes with clients, and in the development of forms for their pension, investment, trading, administration and other services to investment funds, equity, debt and option traders and other clients. In recent years, Mr. Huttler has developed a unique and sophisticated practice in developing tailored investment structures for non-traditional asset classes, sometimes referred to as “alternative alternatives”. Such assets have included life settlements and other mortality and longevity assets, structured settlements, annuities, other insurance products and insurance-linked securities, specialized private lending for movie, television production and video game companies, specialized factoring businesses and other specialized lending, such as the Scandinavian pelt trading market. A particular area of focus has been litigation finance assets, such as those that are pre-settlement, post-settlement, personal injury, mass-tort, commercial, appellate, financial industry and intellectual property litigation. Mr. Huttler’s “sell-side” representations have included those of bulge bracket Wall Street investment banks as underwriters, Fortune 50 company issuers (domestic and overseas), and earlier stage participants in public and private markets in the issuance of debt, equity, hybrid and structured financial securities and instruments, including complex “asset backed” and “junk bond” financings. He has also represented smaller listed companies, and broker-dealers and investors, in PIPEs transactions, early and large stage venture capital financings, and other general corporate legal work and transactions typical for such clients. Mr. Huttler has also represented clients in merger and acquisition transactions, bank financings and various other corporate assignments. On the business side, Mr. Huttler has previously been active in the investment fund industry, such as in raising capital and providing other operational services to investment funds and broker-dealers. He held a Series 7 license for many years. 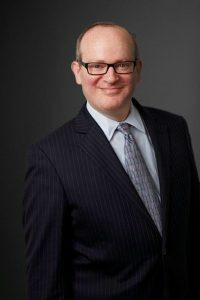 Prior to joining Sadis and Goldberg, Mr. Huttler was a partner in the corporate and commercial law department of Kronish Lieb Weiner & Hellman (now part of Cooley LLP) and an associate with the corporate finance department of Shearman & Sterling. Mr. Huttler has been a candidate for public office and is involved in political, trade and investment organizations for many of the industries in which his fund manager clients have been active. Earlier in his career, Mr. Huttler sat on the Board of Governors of the Lawrence Association, the central political and citizens group in the Village of Lawrence, Nassau County, New York.